It is unclear that companies with the most significant increases in R&D spending are securing more, better quality or valuable patents. A random study of the R&D spending and U.S. patent granted three years following of 12 leading technology companies conducted by Brody Berman Associates shows that costly corporate research spending does not necessarily result in more patents or those with greater impact. Cisco’s annual R&D spend, for example, increased 11.3% from 2010 to 2013, to just under $6 billion, yet the number of patents granted to it over that period was down 21% to about 900. Granted there are many reasons why one company receives more patents than another: Is the business building its portfolio or merely maintaining it? Does it do business in a mature or maturing sector? Is it planning to use the patents defensively or to monetize them through out-licensing? Microsoft’s R&D was up to about $10.5B in 2013 from 2010, but its patents received were down 14%. Is MSFT investing in fewer, better quality patents, or was the decrease merely the luck of the draw? 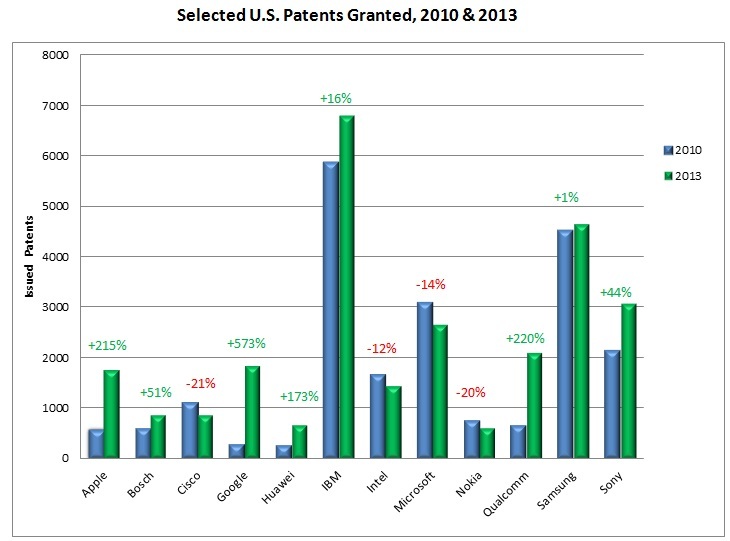 Everyone except Cisco spent more on R&D, but not everyone necessarily received more patents for doing so. Qualcomm’s R&D was up 96% and its patent grants were up 220%. IBM’s $6B+ R&D, a 3% increase, resulted in 16% more patents. Were these of lesser quality than Microsoft’s. It would be interesting to compare. 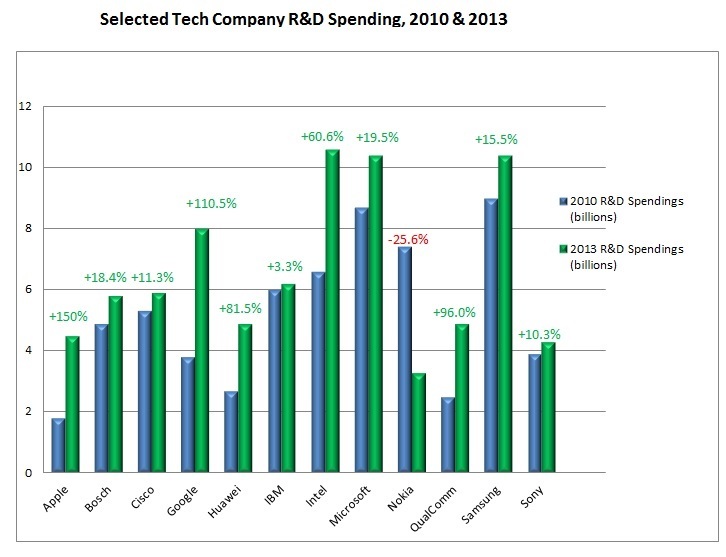 Intel conducted the most expensive R&D of the group, nosing out MSFT for the spending lead. For its some $10.6B in 2013, a 60% increase over its 2010 budget, it received 12% fewer U.S. patents, or about 1,700. One would hope they are better patents. 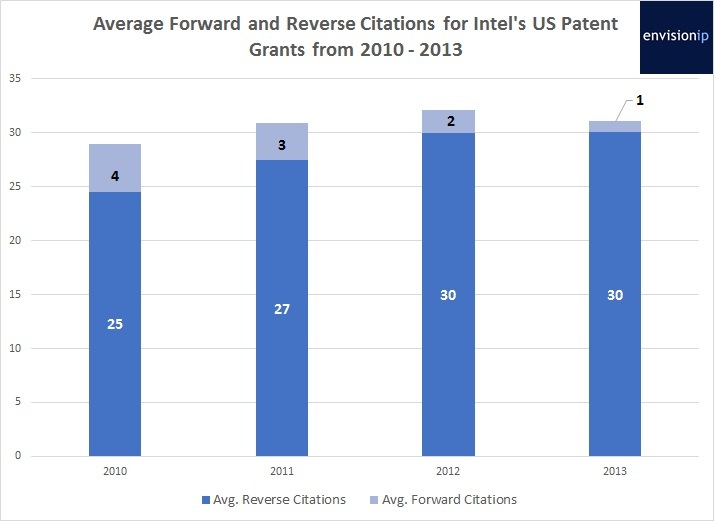 “The number of reverse citations for Intel increased from an average of 25 in 2010 to 30 in 2013,” says Maulin Shah of Envision IP. “A higher number of reverse citations may indicate the relative validity of a patent – the more art that is cited on the patent and during prosecution lessens the pool of available prior art that may be used to challenge the validity of the patent based on prior art grounds later. The trend suggests that a business, no matter how solvent, cannot necessarily “buy” valuable patents or generate meaningful innovation by spending more on R&D. A lower yield per R&D dollar spent may mean better quality patents, but, then again, it may not. More research needs to be done on R&D and how best to measure return on it. 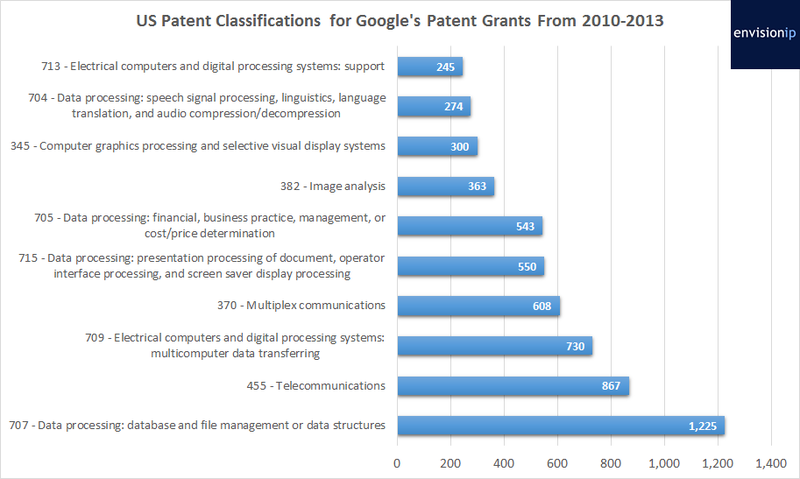 Patents remain a “numbers” game, more focused on quantity than quality, but these R&D/delayed grant figures indicate that the trend is far from universal among large technology companies. “The cost for IP varies per industry sector,” a revered former head of IP business and strategy told me recently, “but also within a sector it depends on whether a company is a technology leader, fast-follower or in catch-up mode. “With technology leaders there is mostly a kind of non-linear relationship between the number of patent filings and R&D budget (decrease in patent efficiency with increasing R&D budget).